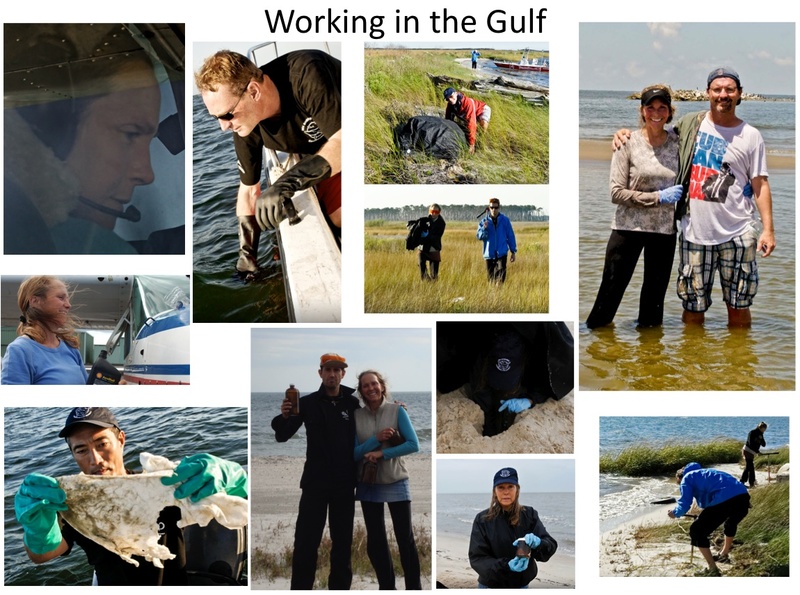 When we weren't flying over the Gulf, On Wings Of Care volunteers were in boats or on foot. For several weeks during the summer months and again in November, we were joined by colleagues from the Sea Shepherd Conservation Society. After serving as second mate on the Sea Shepherds' 2009-2010 anti-whaling campaign in Antarctica with Sea Shepherd, Bonny had returned to help bring their flagship, the Steve Irwin, back from Australia and had just docked in New Jersey and was returning home to California when BP's Macdondo well exploded Aptil 20, 2010. She came to the Gulf with On Wings Of Care, but not a week had passed before she and other Board Directors of Sea Shepherd concurred that we had to do all we could to help the Gulf. Unfortunately, our original plan for Sea Shepherd to bring a large vessel to the Gulf and offer it to authorized personnel as a floating wildlife rescue facility and hospital was foiled by resounding "NO"s from state and federal agencies in the Gulf in the spring of 2010. On Wings Of Care was able to provide aerial support, and wearing her other 'hat' as Sea Shepherd, Bonny went to work to find all ways possible to put Sea Shepherd volunteers and their skills to work in the Gulf too. 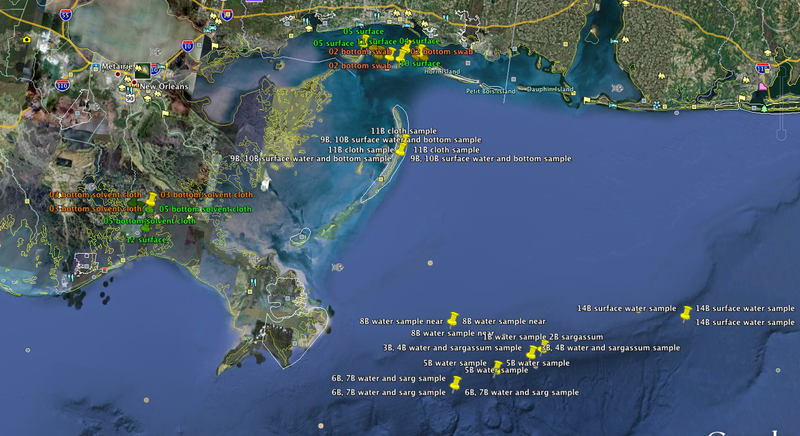 We did find some niches where no authorities stopped us, and probably the most important one for all Gulf residents, turned out to be our collection and sending for laboratory analysis several hundred samples from strategic locations of sand, sediment, water, bottom oil, and small marine life (notably that categorized as seafood). Here are some self-explanatory photos showing maps of where we sampled and some of what we found. A greater analysis of the lab results and their implications will be uploaded by the end of April.